1) It's free! We provide all the food, supplies, and vetting. You just provide your home, and your love! 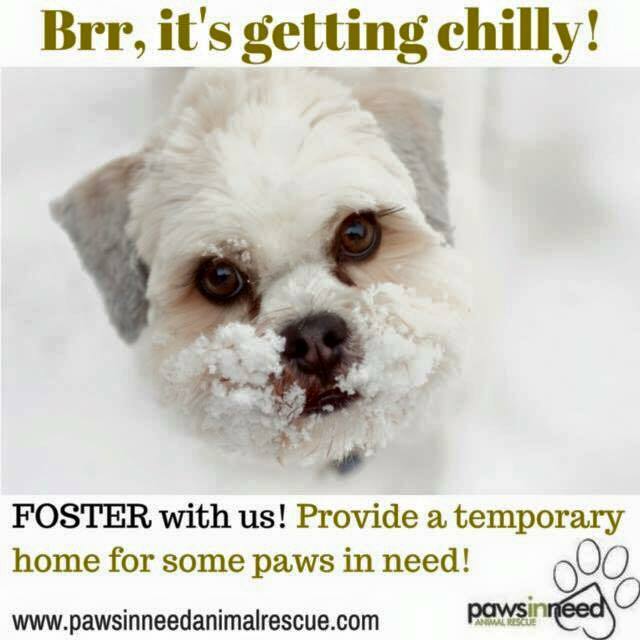 2) If you're interested in potentially adopting, fostering is almost like a trial run! You can see which animals would fit well in your household and how well they get along with your children, or other pets! 3) You're saving lives. There is not a better feeling than knowing you are doing good, and watching your foster grow and progress throughout the time they spend with you. 4) Animals can be therapeutic. Is there something better than getting home from a long day at work, and snuggling on the couch with a pup or kitty? We don't think so! 5) Your children can learn responsibility. 6) You'll give that animal a chance to shine. Some dogs/cats simply don't do well in a shelter environment. Placing them in foster homes allows the animal to be part of a family, until they find their forever one. 7) You'll make someone else's family complete. Because you decided to foster that animal, they had the chance to find their forever home, and for their forever home to find them. 8) Saying goodbye is a happy ending. Sometimes fosters have a special place in your heart, and it's tough to see them go, but watching them get their second chance at life is so rewarding. 9) You'll become a part of a team of volunteers and fosters who have a mutual interest - passion for animals. It's like a big family! 10) You might just fall in love, and in our opinion, there is no better possibility. Animals have a way of filling an emptiness in our hearts that we didn't even know we had. 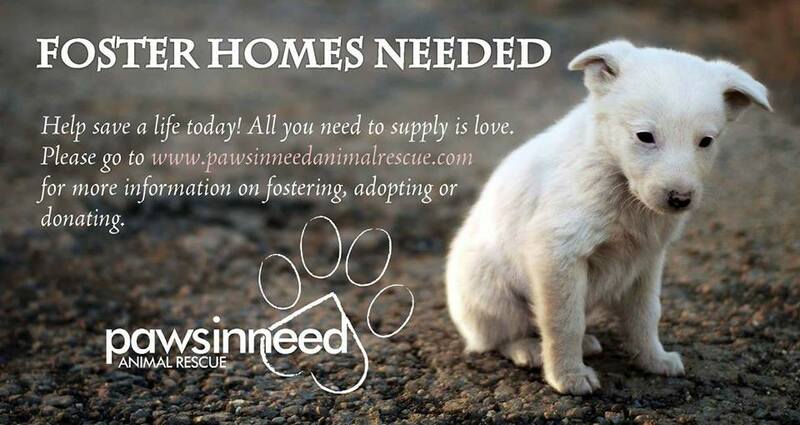 Apply to foster today, and help us save more paws in need.